This time of year I always get to start thinking about summer. I know I can always bring Tuscany to my table with tomato and bread soup. It is delicious warm, as well as served at room temperature on a hot summer day. 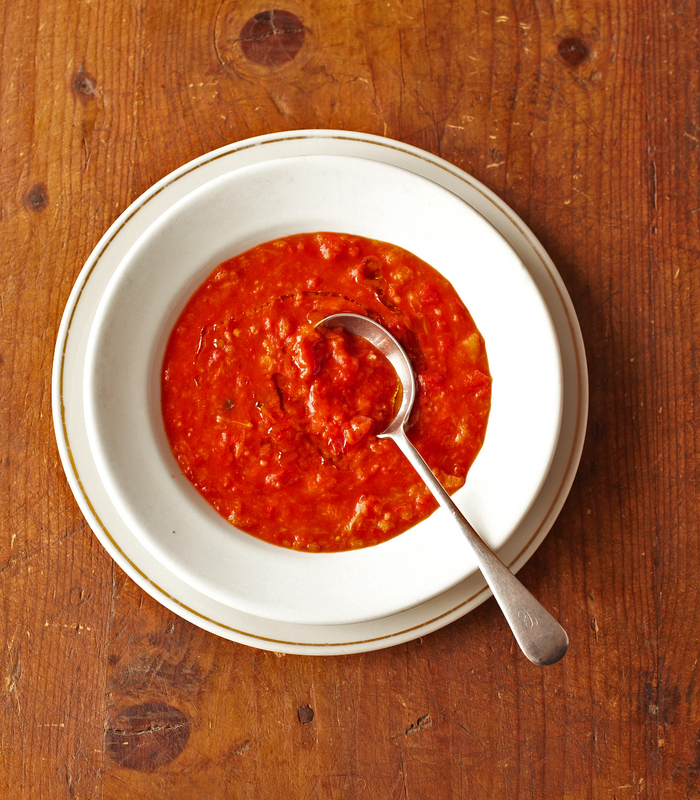 It is a great soup made in the summer, when the tomatoes are meaty and ripe, but it is also excellent when it’s made with canned tomatoes and in the dead of winter. What a great feeling using the stale bread – to make the soup nice and thick and nothing is wasted. Heat the olive oil over medium heat in a deep, heavy 4- to 5-quart pot. Add the onions and cook until wilted, about 3 minutes. Add the garlic and cook until golden, about 6 minutes. Meanwhile, crush the tomatoes with your hands or a vegetable mill. Add the tomatoes and their juice to the pot, add the water and bring all to a boil, stirring occasionally. Once the tomatoes have boiled for 10 minutes, add the bread to the pot and bring to a boil. Season lightly with salt and pepper. Add the basil leaves and adjust the level of heat to a simmer. Cook, uncovered, whisking occasionally to break up the pieces of bread, until the mixture is dense and silky, about 40 minutes. If desired, remove garlic cloves and basil leaves. Season the soup to taste with additional salt and pepper if needed. Serve in warm bowls, drizzled with extra virgin olive oil and shreds of fresh basil leaves, and sprinkled with the grated cheese.